A quick global examination of religious belief reveals three significant trends. First, religion based upon a literal reading of a person’s faith group’s scripture is increasing, especially in its Christian and Islamic expressions as seen in the Global South. This observation distinguishes between Islamic extremism (and by inference extremism in all of its other religious manifestations) and historic forms of Islam, whether Sunni or Shiite. Islam, more than any other major religion has taught a literal reading of the Koran. Second and concurrently, belief in organized religion is decreasing in the developed world. This trend is observable even in the United States with its traditionally high levels of religious belief. For example, a recent Pew survey found that a majority of Americans believe in a higher power but only a slim majority believe in the God described in the Bible. Third, religious belief in China is increasing. One possible explanation is that the increase represents a delayed reaction to religion’s suppression during the era of harsher Communist rule that began with Mao. A second possible explanation is that people are turning to religion as a vehicle for protesting against the lack of democracy and individual freedom that matches China’s economic development. These two explanations are not mutually exclusive. The net effect of the first two trends on the future of religion is hard to determine. Predicting that belief in traditional expressions of Christianity and Islam will diminish in the Global South as development progresses is easy. Illustratively, educated people tend reasonably and quickly to discard overly simple answers to questions that depend upon reading Christian scripture as both a theological/spiritual text and a scientific text. Unfortunately, rejecting that approach often leads to dismissing religion in toto as superstition of no value. Alternatively, even people living in the developed world, as shown in the Pew survey previously cited, tend to believe in a higher power. 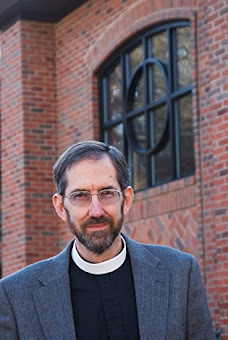 The title of Episcopal Bishop John Spong’s book, Christianity Must Change or Die, thus points to one possible future for religion. The world’s major religions may die because of their inability to adapt and thereby make way for a new (or multiple new) religions to emerge. Of course, some religions may adapt; other religions may die. I optimistically see signs that religious belief is slowly converging. If a higher power (God) exists, then reasonably only one such power exists. Different names for God point to the same ultimate reality; different religions are different paths for cultivating a closer relationship with that power. The ethical teachings of the world’s major religions center around two precepts: love for God (the higher power) and neighbor. This commonality reinforces my belief in the singularity of religion rightly understood and the slow but eventual convergence of religious belief. However, in the short run I observe two sources of divergence. First, some believers hold firmly to the distinctives of the believer’s own faith tradition in a reaction against religious convergence, a reaction similar to that by some people against economic and political globalization. Second, religion has often been, and continues to be, a vehicle for protesting injustice. This is particularly evident in the history of Islam and is now evident in China. Broader moves toward more fully establishing justice will gradually diminish the number of people who turn to religious belief as a vehicle for political protest. In other words, neither of these sources of divergence, regardless of their present potency, will derail the longer-term convergence of religious belief in a form that embraces pluralism while preserving the ethical emphasis on loving God and neighbor. A parish in Raleigh, NC, where I have at various times served as Priest-in-Charge and Priest Associate has expanded and named its ecological stewardship ministry Zerowastechurch.org. I commend your engagement with this website and the organization behind it for five theological reasons. First, God loves all creation. Illustratively, after each step of the creative process outlined in Genesis 1 God saw, “It is good.” Human destruction, particularly wanton destruction of any part of creation, is sinful because the destruction profanes or ruins what God deems good. Remember, Genesis 1 is a theological testament, not a scientific text. To reject the idea that God saw creation as good because of the faulty scientific framework on which the theology is draped is to discard the baby with the bathwater. Second, God appointed humans as the stewards of creation. Stewards care for that which the owner has entrusted to the stewards’ care; stewards wrongfully usurp the owner’s prerogatives when stewards take that entrusted to their care and use it for the stewards’ exclusive benefit, especially if the use is wasteful and destructive. Three, stewardship inherently entails action and not simply a passive nod to the value God places on all creation. Paying lip service to creation care is analogous to the affluent person who offers only a verbal blessing to her/his poor, hungry neighbor. Fourth, time is short. When the earth’s population was much smaller and people lived with less technology, the earth more easily absorbed human excesses and harms. Since, the middle of the twentieth century, awareness of human damage to creation has greatly expanded. Much of the harm may be impossible or at least extremely difficult to reverse. Nonetheless, we have demonstrated an encouraging ability to change our behaviors, laws, and policies; creation has similarly demonstrated a remarkable resilience. For example, rivers once so badly polluted that they could no longer support fish life now support thriving fish populations and are sufficiently clean to permit humans to swim and to consume the fish they catch. Climate change (global warming!) caused by humans is real. At some point in the near future, the damage to the earth’s ability to maintain a range of temperatures conducive to human thriving will become permanently impaired. If we reach that point (and some pessimists argue we have already passed it), humans will have become the agents of their own destruction. I’m a perennial optimist. I know that we are near the point of no return that will lead to human extermination, but I hope we have not yet reached that point. If I’m correct, then humans must act now to reduce their carbon footprints and take other steps to reduce, hopefully even to begin to repair, the damage we have caused and continue to cause to the environment. Both the urgency of the need to change and the hope that humans can alter their behavior for the better are theological concepts deeply rooted in Scripture. 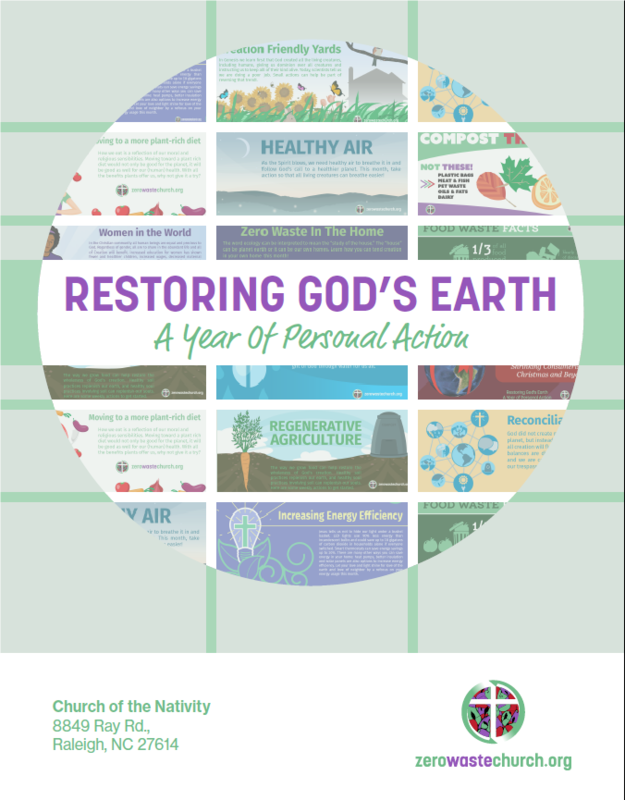 Fifth and finally, the church – the body of Christ – the gathered community of people who intentionally commit themselves to walking the Jesus’ path – rightly models, teaches, and promotes ecological stewardship. Zerowastechurch.org is a prime example of this modeling, teaching, and promotion of ecological stewardship that moves from the theoretical to the practical. Does Trump teach us how to love our enemies? Jesus instructed his followers to love their enemies. President Trump sometimes appears to curry favor with nations recently considered enemies or adversaries of the United States, especially Russia and China. Is he heeding Jesus’ teaching to love one’s enemies? Lavishing blandishments and flattery on Russia’s President Putin and China’s President Xi does not communicate love. Both authoritarian rulers have enough sycophants in their governments that the rulers recognize flattery for what it is: empty words. Flattery infers shared values and perhaps obedience, neither of which should characterize U.S. relations with Russia or China. Genuine love for enemies frequently requires speaking truth to power in a way that power is likely to hear. Using this criterion, Trump clearly does not express love for his enemies. For example, Trump failed to confront Putin about Russian interference in U.S. elections with sufficient forcefulness, relying on the word of a known prevaricator instead of the hard, substantial evidence provided by American intelligence agencies. Of course, Trump himself consistently acts as if facts are unimportant or non-existent. Conversely, Jesus never taught us to treat friends and allies with enmity. Trump inappropriately meddles in the internal affairs of friends and allies, publicly speaks disdainfully or dismissively of allied leaders, and acts (e.g., by unilaterally imposing tariffs) as if U.S. friends and allies are adversaries rather than simply economic competitors. Competition does not necessarily presume enmity. One important lesson learned from participating in athletic competitions is adversaries on the field may be good friends off the field. Perhaps the President, crippled by a bone spur that allowed to him avoid the draft, never learned this lesson during his school years. Evangelical Christian support for Trump’s foreign policies disturb me because they fail to apply biblical standards in their analysis of those policies. Another illustration of this assessment is that America first is not a Christian policy. God loves all people equally. Consequently, globalization, not perpetual American supremacy, is one foundational pillar of a Christian foreign policy. A reader found my Ethical Musings posts on Why people go to church and What was Jesus’ brand interesting. The posts prompted the reader to wonder if I had given any thought to the number of people who wear crosses. The reader accurately surmised that by comparing the number of church attendees to cross wearers, a significant number of people who wear a cross have no connection to Christianity or to the theological meaning of the cross. I found the reader’s observation insightful and thought provoking. After receiving the reader’s comment, I began paying more attention to the number of people wearing a cross and was startled at the number of crosses I saw, especially when contrasted with church attendance and membership statistics for Paris and London, the cities in which I made my observations. Some individuals wearing a cross were obviously American. Even ignoring those, a still surprising number of French and British persons wore crosses. Since returning to the States, I’ve found that a disproportionate number of people sport crosses in comparison to U.S. church attendance and membership statistics. The explanation that I find most cogent is that the cross has become a common cultural symbol and has lost its historic and theological meanings. The Romans used crosses, generally shaped like our letter “T,” to execute tens of thousands of criminals. The Roman army (there was no separate police force) was highly competent and professional. They crucified Jesus in a way that from the Scriptural record (the only available source) appears fully consistent with their standard practices. Nothing significant about Jesus’ crucifixion seems to have been exceptional. Non-Christians originally associated a cross with Christians as a form of insult. Christians, however, quickly adopted the symbol as a source of pride, reveling in its scandal. Early Christians, aware of the near unanimous public revulsion to the cross, also saw it as a safe symbol for identifying their meeting places, houses in which Christians lived, etc. No sane person would voluntarily associate him or her self with a cross. Today, the scandal is gone. The cross has become a good luck charm (think of crossing one’s fingers, which originated as a way of making a cross) or even a meaningless decorative item valued for its craftsmanship or giver rather than its shape. What if Christians wore an electric chair or noose instead of a cross? Those symbols would restore the scandal; those symbols would also underline the meaning of Jesus’ death (innocence in the grip of systemic power that led to the power’s unanticipated unmasking as evil and subsequent defeat) in a way that is perhaps more comprehensible by twenty-first people century. Unfortunately, in both instances the connection with Jesus would be lost. Perhaps Christians who wear a cross should consider wearing a cross with a hangman’s noose or electric chair superimposed. 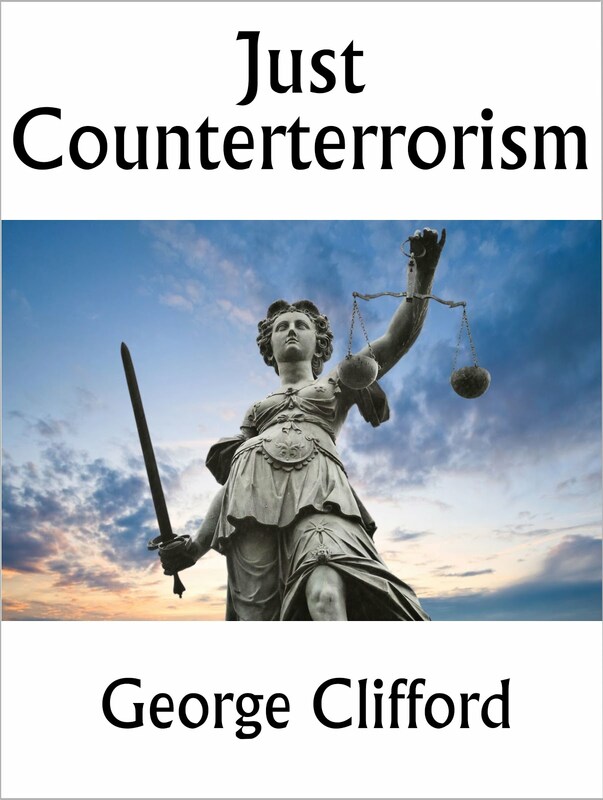 As I write, I am aware that beheading is another form of capital punishment in current use. Regretfully, a sword has too many interpretations to permit its clear use as a scandalous symbol of capital punishment. God is life. The scandal of the cross is that death, particularly a death caused by a ruling power’s imposition of capital punishment on a conquered peasant, led to life. May all who wear a cross dare to live into the hope and reality of the cross. I briefly encountered the British Prime Minister, Theresa May, in London. Sadly, we are not on a first name basis. Now that I have your attention, I’ll tell you what actually happened. One evening her motorcade drove by as Susan and I walked from our London hotel to a nearby restaurant. You may feel I misled you. Many Christians face a similar credibility challenge. Christianity promises people to help them develop a first name relationship with God and then too often fails to deliver. Today’s gospel reading (Mark 6:1-13) offers several constructive suggestions about how to assist people connect with God. Clergy are icons of God. Believe me, these icons all have clay feet. Nevertheless, one reason the Church sets aside clergy is to symbolize God’s presence in our midst. Good clergy aim to achieve this purpose through being transparent, appropriately sharing personal foibles and struggles while hoping that people will simultaneously discern God’s presence. Incidentally, being an icon is difficult when parishioners are accustomed to seeing one as a carpenter (think of Jesus) or a PR executive (think of Mark Haworth recently ordained deacon out of this parish). Consequently, our canons follow Jesus’ example by requiring clergy to serve a congregation other than their home congregation. More broadly, every Christian is called to be an icon of Christ in the world. As God’s icons, we hopefully hear and answer God’s call – whether for ordination, or more frequently to sing in the choir, serve at the altar, join an outreach ministry, or embrace a stranger with God’s love. Controversially, the gospel reading names Jesus’ brothers and sisters. The Greek is frustratingly ambiguous and can mean either siblings or cousins. On the one hand, Mary was a Jewish young woman married to Joseph in an era before artificial birth control. They had multiple motives for desiring a large family. On the other hand, Christians understandably venerated Mary for being worthy of bearing the one traditionally seen as God’s son. Concurrently, Christian theology frequently emphasized God’s transcendence at the cost of distancing humans from God, making a relationship with God more problematic. These factors coalesced in many Christians depicting Mary as an eternally blessed virgin, immaculately conceived without original sin so she would be worthy of being Jesus’ mother, having been bodily assumed to heaven without dying because she lived a sinless existence, and recent efforts, prominently spearheaded by Pope John Paul II, to declare Mary co-redemptrix with Jesus. 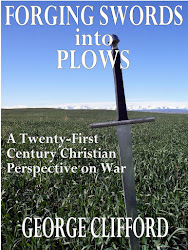 Although lacking explicit scriptural warrant, these ideas do have Scriptural roots. Today, these conflicting views of Mary frequently coexist in the same congregation. This past week, the Episcopal Church’s triennial General Convention met in Austin, Texas. One hotly debated topic was the merit of using only masculine pronouns and nouns to name the persons of the Trinity. Individuals who have suffered abuse from a male – whether father, other relative, friend, co-worker, or stranger – often find male terms for the deity painful. General Convention authorized non-gender specific language for the introduction to our Eucharistic prayers and a few other places in the liturgy. Heather and I, like a majority of Episcopal clergy, sometimes refer to the Trinity with a variety of gender neutral or mixture of feminine and masculine terms. And Scripture, in fact, uses feminine and non-gender specific terms for God. Furthermore, most biblical images of the Holy Spirit are feminine nouns in the original language. I predict that future generations will find this fight silly. What you call God is unimportant. What is important is that you know the love or light, by whatever name, that brings life, healing, and meaning. Welcoming everyone and helping them to recognize God’s loving presence in their life requires embracing multiple terms and paths for describing the spiritual life. Jesus’ inability to perform deeds of power in Nazareth poignantly reminds us that God alone, by any name, is not the answer. Promising that God can solve all problems is wrong. Instead, God acts in conjunction with people. And even then, not everything is possible. For example, God rarely heals, as the Apostle Paul knew, chronic, incurable disease but daily empowers one to live with the disease. Laying on of hands and anointing with oil are symbolic, liturgical means by which God’s people incarnate and communicate God’s presence and love. We witness this in ordinations, anointing of persons in our mid-week healing Eucharist, hospital visits and other times, blessings during Holy Communion for those not receiving the consecrated bread and wine, and perhaps most especially in the passing of the peace, a time to bless one another rather than gossip. One Sunday afternoon during our recent stay in Venice, Susan and I while crossing a bridge were startled to observe dozens and dozens of small boats, all rowed or paddled. We saw Viking longboats, pirate ships, kayaks, a Chinese dragon boat, and lots more. We discovered that over four thousand participants in two thousand plus boats were racing along an eighteen-mile course. They were all amateurs, which was glaringly apparent from multiple boats crashing into buildings, bridge abutments, and other boats. Surprisingly, nobody ever loses in this annual race. Every finisher receives the same medal and equal acclaim. That boat race is a great metaphor for the Christian life. The boat represents the ark of one’s salvation, living Jesus’ lifestyle of loving God and neighbor. The variety of boats connotes our individual spiritualities. Paddling symbolizes our effort – unbelievably amateurish, exceptionally competent, or most often somewhere in between – to partner with God and thereby experience God’s loving presence personally as well as becoming an icon or vehicle that enables other persons to experience God’s love. Everybody wins; there are no losers. May all of us participate in this race. Amen.